Revision of some basic vocabulary- numbers,pets,school objects,family, body parts, clothes, food and colours. 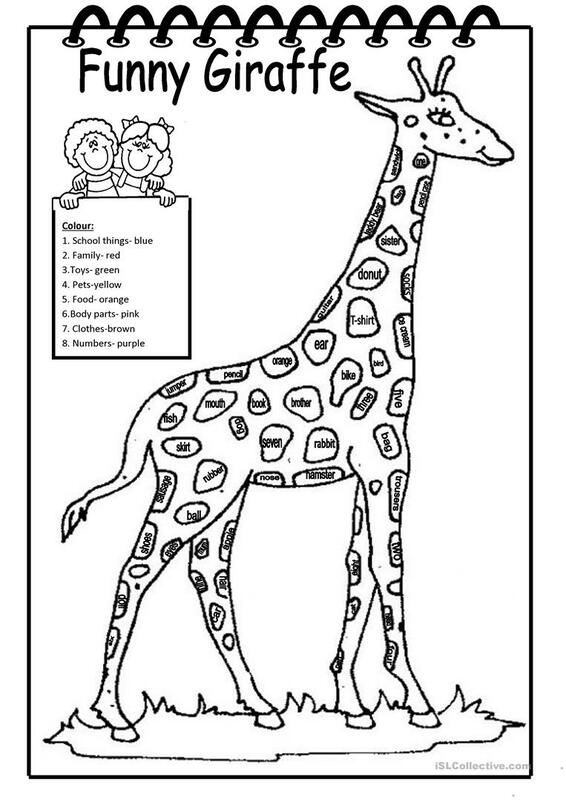 Children colour the spots according to the categories. The above downloadable handout was created for elementary school students at Beginner (pre-A1) and Elementary (A1) level. It is a valuable material for enhancing your class' Reading skills. It centers around the theme of Animals, Body, Clothes, fashion, Colours, Face, Food, School and Toys.